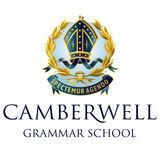 Friends of Swimming The Camberwell Grammar School Friends of Swimming is a parent body that has been established to support various aspects of the schoolâ&#x20AC;&#x2122;s swimming program. The current Swimming program comprises of approximately 65 students from all year levels of the school broken up into 3 squads, Development, Intermediate & Senior. Throughout the year the group works with the Director of Sport and Master in Charge of Swimming to support CGS Swimming in a variety of ways. Through social and fundraising activities Friends of Swimming aims to offer much appreciated support to the school, the teaching staff and coaches and most importantly to the boys. It also aims to provide opportunities for further interaction amongst the swimmers and their families. Funds raised will assist in purchasing and subsidizing extra equipment, awards and Presentation Nights. A small committee is formed each year comprising parent representatives from each squad, and the committee meet when necessary.